Take a trip back in time and find out when Reykjavík was discovered, named, settled and how it developed from humble farmstead to cosmopolitan capital city! 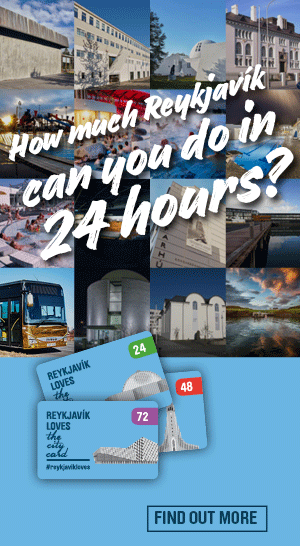 These are just of a few of the fascinating things you'll learn about the extraordinary history of Reykjavík and Iceland. Browse through our comprehensive history pages below; sourced and compiled from the Reykjavík City Museum archives, and read about some of our more significant moments in history. Discover the fascinating history of Reykjavík and how it developed from farmstead to a cosmopolitan capital city. The oldest source on trade at the offshore island of Hólmurinn (now Grandahólmi) near Reykjavík is from 1521. Iceland was still relatively isolated from the outside world in the post-war years, although receiving a few foreigners visited the country. After World War II, modernism finally arrived in Iceland. Icelandic women were granted the right to vote and eligibility to stand for election by a constitutional amendment attested by the King on 19 June 1915. In the period from 1200 to 1750, farms, large and small, were dotted about the area which is now the city of Reykjavík. The landowners of Reykjavík manor, often called simply Vík, practised traditional animal husbandry and agriculture, along with fishing. The people of Reykjavík celebrated the turn of the century at the beginning of the year 1901. Great technical advances in the late 19th and early 20th century stimulated economic growth in Europe, and changed people's ideas. In 930, the Icelandic settlers founded Althingi, the oldest existing parliamentary institution in the world, at Thingvellir (Parliament Plains) and marked the birth of the Icelandic nations. The first building in Reykjavík other than the craftsmen's workshops and a few homes, was a large stone structure (now Government House) built on the estate of Arnarhóll, east of the Brook, in 1761-1771. Iceland gained home rule on February 1 1904. The King of Denmark appointed a single Minister to govern Iceland, who had the support of a majority of Althingi. Thus parliamentary government was introduced in Iceland.